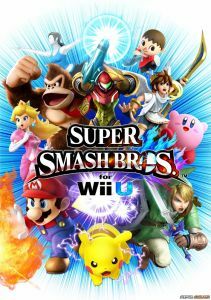 Super Smash Bros is the fourth installment of the immensely popular fighting game featuring various characters from different Nintendo franchises. Some stages, collectible trophies, and Assist Trophies are exclusively available to each version of the game, with the 3DS featuring elements from handheld games while the Wii U features those coming from console titles. The game also features several interesting single player, local multiplayer, or Online multiplayer Gameplay modes. Given the game's simple, and responsive Controls, players are encouraged to play strategically as matches can take unexpected turns with the help of items, Assist Trophies, stage hazards, and the unpredictability of other players. Welcome to Supercheat's unofficial guide for Super Smash Bros (Wii U). The guide will discuss the game's mechanics, features, and will have in-depth analysis of each available fighter in the game. Please use the menu on the right to navigate. No discussions open for Super Smash Bros. for Wii U at the moment.